The movement to increase the diversity in law and provide a more equitable balance between females to males is an on-going international movement. Ireland, however, shows the most conspicuous change. According to independent.ie Irish, females now make up about 52% of the Irish solicitor workforce. At the end of 2017, there were 5,001 female solicitors with certificates compared to 4,664 males with certificates. Larger numbers of female solicitors began to trend in 2014. Now, Dublin’s numbers have reversed from traditional male dominance, with 3,225 female solicitors compared to 2,831 male solicitors in practice there. Male solicitors still outnumber females in 17 out of 26 counties in Ireland but women are closing in to surpass their male counterparts in counties such as Clare, Cork, Donegal, and Galway. Interestingly, only 48% of female solicitors choose to work in private practice. The other 52% prefer working in-house positions for corporations and banks. AIB Group, while a financial services firm and not a law firm, is the 9th largest in-house employer of solicitors and the Central Bank is the next largest. While women have made great strides as solicitors in Ireland, 67% of the partners in the big six law firms in Ireland were males. This is an important finding because (according to Ireland’s official Law Society) 14% of all solicitors work at these six law firms. Their staff and partners are highly paid. Even though the numbers of female solicitors have grown significantly over the last 20 years, only 33% of them have moved into the partner positions. Rather, according to the Law Society statistics, 64% of solicitors working at levels lower than partner are women. Statistics show that the 16% of solicitors promoted to partner in the last few years show an average of equal numbers of men and women reaching the coveted partner level. Still, as the solicitor who analyzed the data for the above article noted, this slow movement toward equality could take another 15 to 20 years before partnership attains an equitable male/female mix across law firms. So, what law firm is the most diverse in Ireland? The Lawyer European 100, 2017 named William Fry The Most Diverse Law Firm in Ireland and the 5th Most Diverse Law Firm in Europe. The Lawyer European 100 studies financial and personnel data for the top 50 international law firms practicing in the region. Ireland retains its enviable reputation as the most diverse legal market in the region. William Fry’s partner in the Litigation and Dispute Resolution department is Carol Plunkett and the partner in charge of the Fry Private Client Group is Nora Lillis. Plunkett received the Euromoney Women in Business Law Award and Lillis received the Irish Private Client Lawyer of the Year Award, in 2017. Other law firms have diversity programs in place, too. One example is Matheson — one of the largest Irish law firms with 600 staff in Ireland, the US and the UK — which now touts proudly that 37% of its law partners are female. And, of the 12 new partners named in 2017, six were female. At Lincoln Recruitment, we have a unique focus and commitment to diversity and inclusion throughout every stage of of attracting, selecting and recruiting diverse talent for our clients. Lincoln has joined the 30% Club list of signatories, strengthening our commitment to improving gender diversity in the higher ranks of business. The 30% Club launched as a campaign in the Ireland in 2010 with a goal of achieving a minimum of 30% women on FTSE-100 boards. Patricia Mc Carthy has been with Lincoln since 2014. 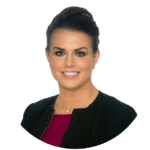 Patricia has been a Senior Consultant in the Legal Division that delivers services to organisations and legal professionals across financial services, private practice, industry, commerce and the public sector in Ireland. She is a reputable expert in the legal recruitment sector, and her clients and candidates alike have long testified to her passion and desire to source the best talent on the legal market.